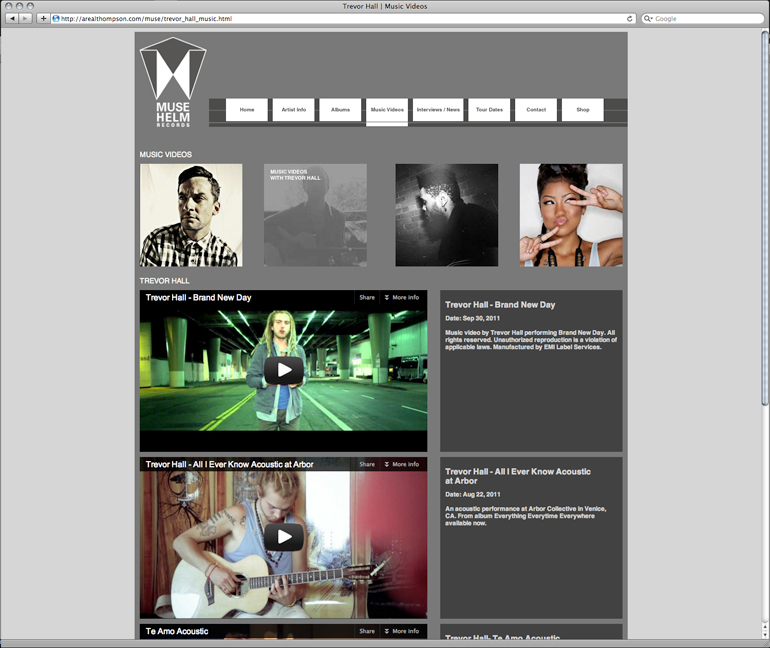 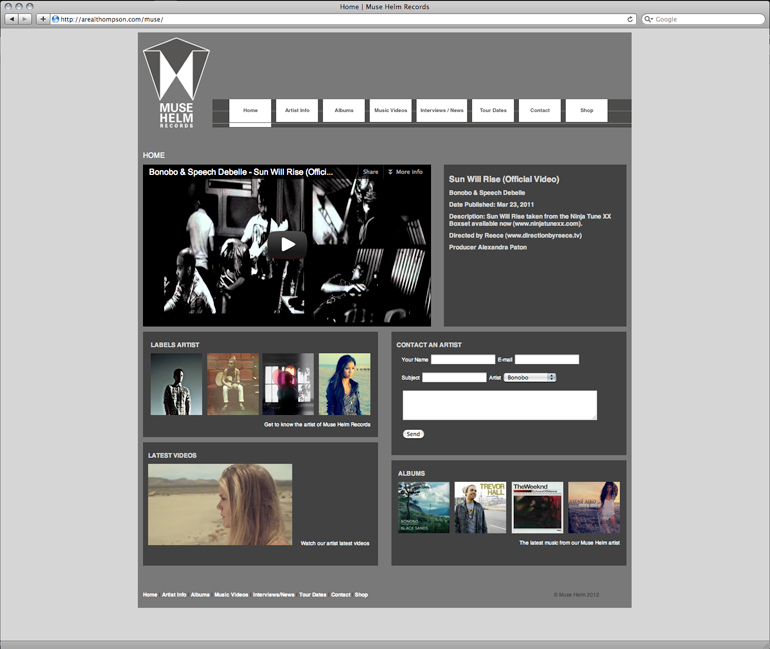 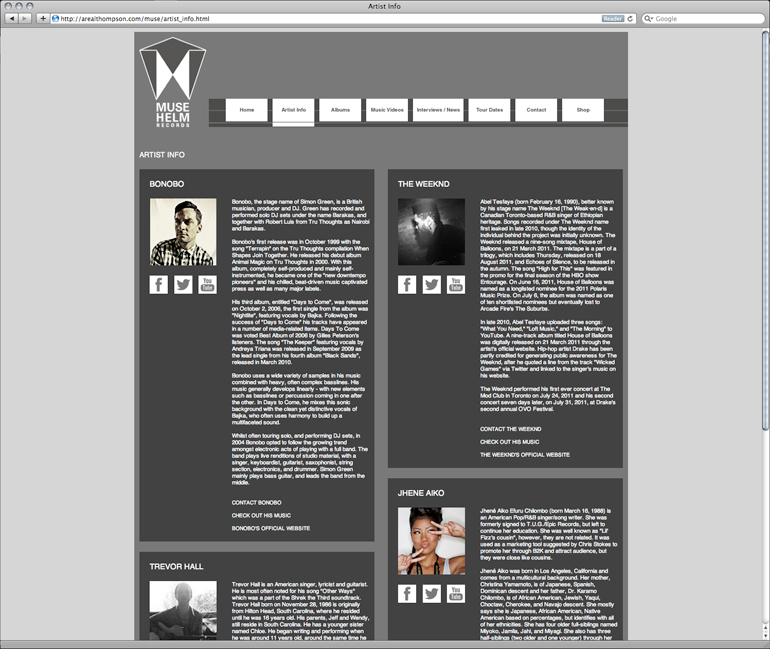 Muse Helm Records is a fictional independent record label with four artists that I designed and developed. 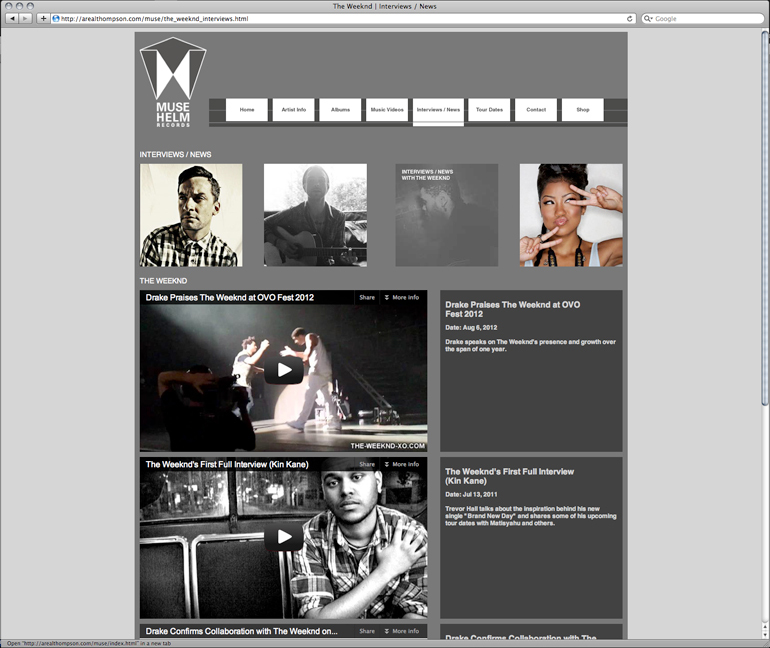 In the contents of this website the viewer will find information about the artist, watch interviews, enjoy music videos, browse tour dates and even buy albums. 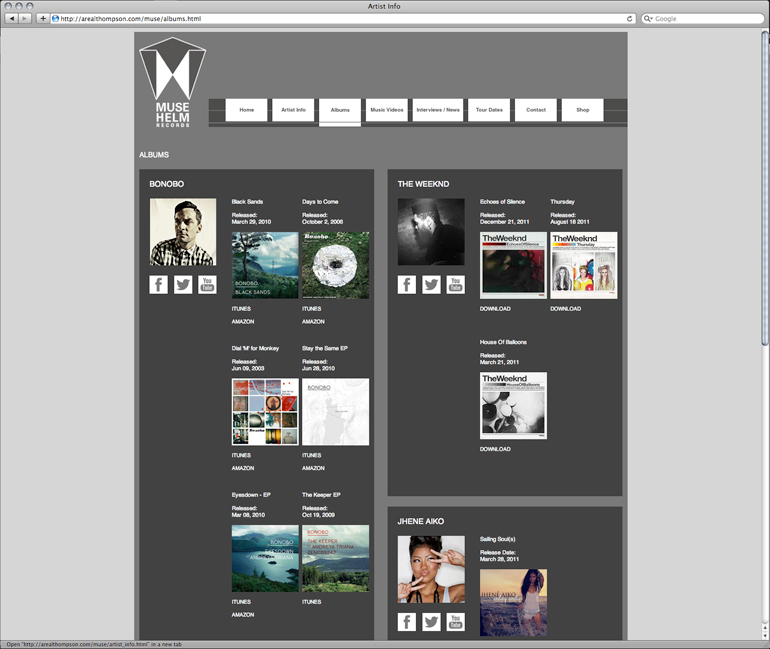 The architecture of the site allows for smooth navigation and allows for the viewer to interact with ease.